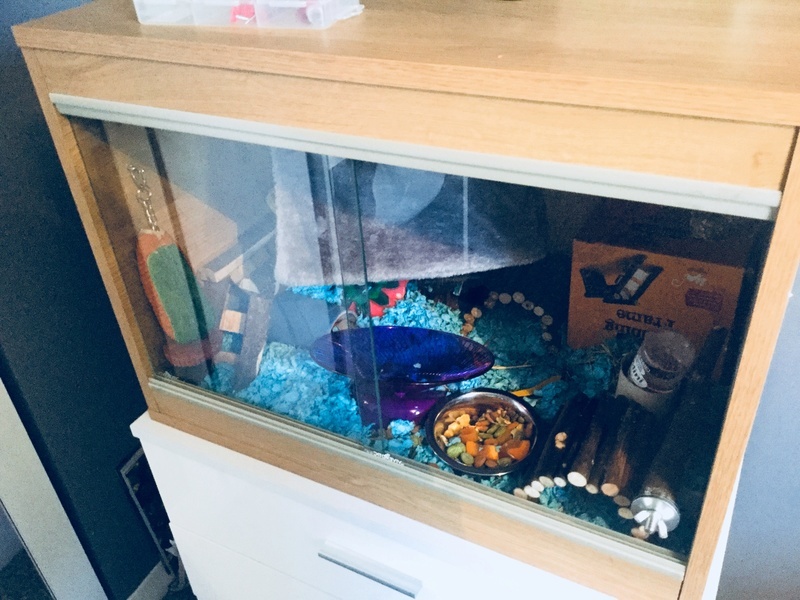 Re: Is my cage big enough? Share pictures if you can! Does your cage have doors on the front? I've been looking for pictures of a mouse setup in one of those cages, for our Proper Housing thread. Hopefully I sent them all correctly. 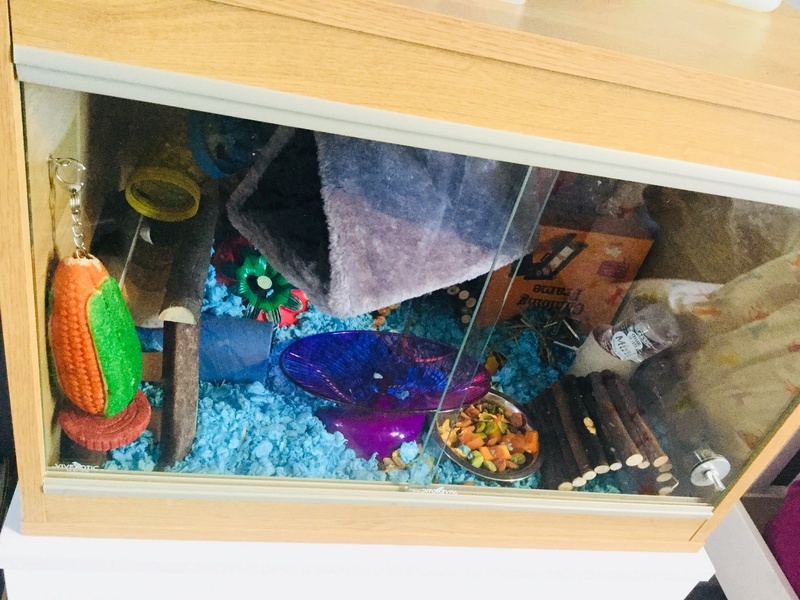 As you can see, they have large, heavy sliding doors that hopefully the mice won’t be able to slide once they’re bigger but they’re very sturdy and thick, so I assume not. It has many ventilation slats in the back. 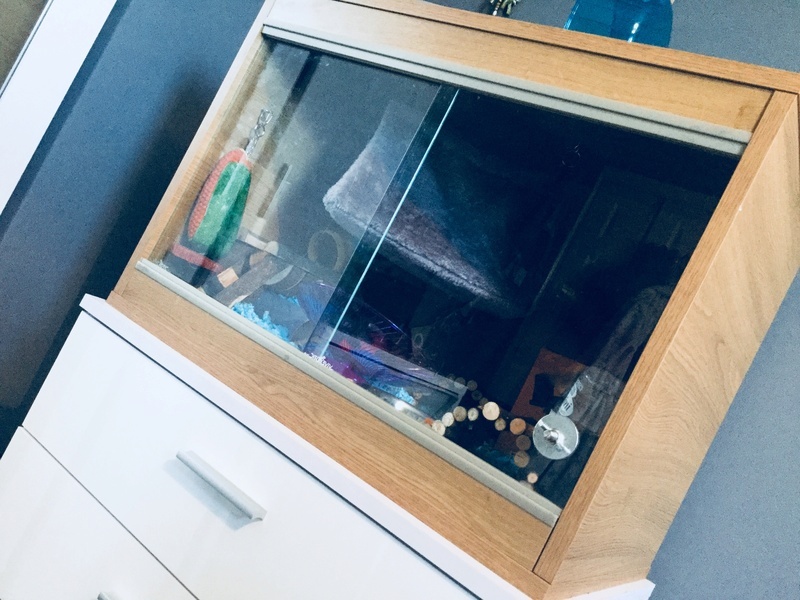 The only problem I’ve had so far with this vivarium is the hole that was designed to be used as a way to slide the door across, but it was definitely large enough for a mouse to squeeze through, especially my young mice. So, I just used a toy that’s supposed to be screwed to cage bars to fill the hole, as you can see. It looks pretty nice there too, so it’s not a problem anymore. What do you think? So perfect! It looks like a lot of fun for your mice. Wonderful idea using the toy to fill the hole. Do they like the hanging triangle shaped thing? I want to make one of those now, I bet mine would love it! Thank you for sharing! Here's the thread I mentioned earlier. I want to fill it with a great variety of different good setup and enclosure examples. Would you mind if we added one of these pictures to it?